The Board of Game has been active all over the state in 2010, 2011, 2012 and so far in 2013 in setting it’s sights on increasing predator control measures for bears and wolves. To date this has not directly targeted the McNeil River brown bear population. We will continue monitoring the issues coming from that organization. Last summer, in 2012, we participated in a review of our neighboring Katmai National Preserve (directly borders on the western edge of the McNeil River State Game Refuge lands) guidelines for guided hunting rules and regulations. We have been advised that this Preserve was established specifically as a hunting area, which makes it particularly difficult to get brown bear hunting restrictions inacted after the fact. There have been guided hunting trips in this area since 1980 in relatively minimal numbers. After all comments were received and reviewed, the park service elected to make minor alterations of interior boundaries and to continue issuing 10-year Guide licenses starting in the fall of 2013) to a very limited number of guides with a maximum total number of clients being limited to 28. Our concern was and continues to be that a small number of the McNeil River bear population does occasionally move through this area and could be lost to these hunters. See two articles in the 2013 Newsletter regarding two recent BOG meetings and predator issues. Board of Game (BOG) Meeting in Anchorage started taking public testimony on proposals on 2/27/09 through 3/1/09. Four proposals (42, 43, 44 & 45) had been made to the BOG for consideration in expanding protection of the areas immediately outside the McNeil River Sanctuary and Refuge. 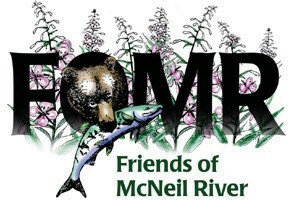 http://www.anchoragepress.com/articles/2009/02/19/news/doc499cbfaa43402117797003.txtThis is a well written and highly descriptive treatise of the problems surrounding the bears inhabiting the McNeil River Sanctuary and adjacent regions. discussed elsewhere in this newsletter.